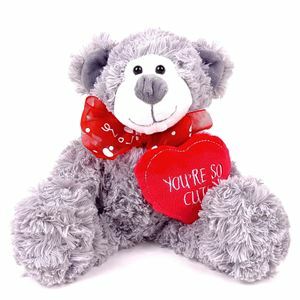 This soft, silky bear will be treasured forever. He carries a red heart with the message "You're So Cute". 30cm. This bear is light grey in colour. A perfect extra gift for Mother's Day or just to say "I love you".